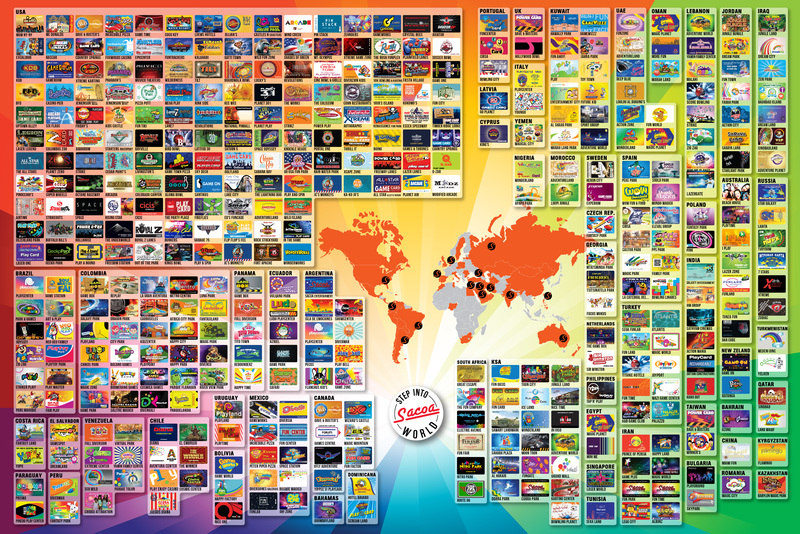 Playcard developer Sacoa recently announced a number of key installations, as well as several future projects. New installations include the Walt Disney Resort Hotel's Shades of Green facility, including 50 games equipped with Sacoa's wireless Colorshot readers and using the firm's Redemption, Customer Registration and Online Party Booking modules. Sacoa also recently installed its technology in two Frank Theaters locations, Delray and Saucon Valley, that switched from another debit card system supplier, and the Sky Deck Lanes and Grill in the Mall of America in Minneapolis, that switched from a competitor's system, as well. Finally, Sacoa recently launched in Xtreme Lane bowling center in Los Angeles with over 100 wireless games. The firm's Sebastian Mochkovsky says immediate future plans include two casino locations: MGM Grand at Foxwoods Resort & Casino in Mashantucket, Conn., whose installation is schedule to start by the end of the current month, and the Wind Creek Casino from Creek Indian Enterprises in Atmore, Ala., for July this year. For additional information on the Sacoa Playcard system, please visit the web site at www.sacoacard.com.